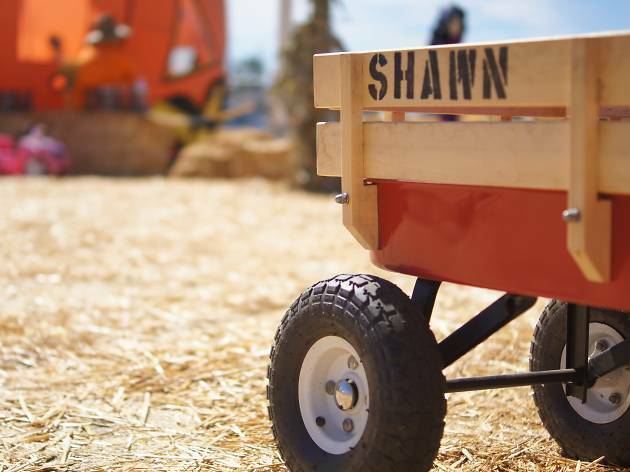 If you’re on a budget before the holidays and still looking for a lively pumpkin patch experience, Shawn’s Pumpkin Patch is definitely the spot for you. Like most patches, admission is free and activity prices range from $3-$9 with most falling toward the cheaper end. The patch boasts giant slides, obstacle courses, merry-go-rounds, bungee jumps, petting zoos, train rides and more—it should really be called a pumpkin carnival. 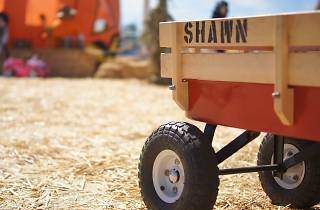 Enjoy unique attractions like “Play Land” where kids can try to catch flying balloons inside an inflatable pumpkin or “Orbotron” where they can spin around harnessed in a giant ball, bubble boy style. The massive size of this pumpkin patch, jam-packed with countless pumpkins and activities for all ages, guarantees pre-Halloween fun. Check out their new location at 3443 S Sepulveda Blvd.